The Rainbow Ballroom, Glenfarne: Just a few weeks to go to our Easter Draw! Just a few weeks to go to our Easter Draw! Don't forget to be in for a chance to win with our Easter Draw. 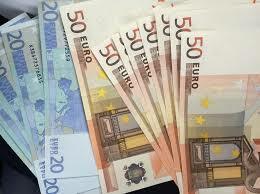 Tickets are €20 each or three for €50, with a first prize of €1,000, second prize €500 and third and fourth prize €250 each. The draw will take place on Easter Sunday night at the Social Dance. Tickets are available from our committee members or by calling or texting 085 8634852. All proceeds will help fund the ongoing restoration of the Rainbow Ballroom. Without your help this would not be possible and we extend heartfelt thanks to all our loyal supporters. 2018 - Rainbow Ballroom of Romance, Glenfarne. Picture Window theme. Powered by Blogger.